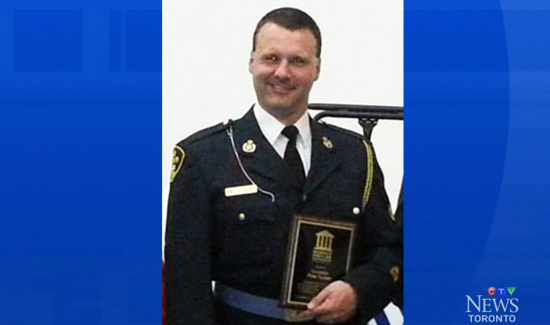 In Canada, The Ontario Provincial Police Association (OPPA) has set-up a trust fund to help Constable Peter Tucker and his family. Tucker is a motorcycle officer who was seriously injured just over a week ago when he was escorting a motorcade. He was part of a training exercise and hit a goose and crashed. The OPP association says its received thousands of calls from people wanting to help. In Canada, The Ontario Provincial Police Association (OPPA) has set-up a trust fund to help Constable Peter Tucker and his family. Tucker is a motorcycle officer who was seriously injured just over a week ago when he was escorting a motorcade. He was part of a training exercise and hit a goose and crashed. The OPP association says its received thousands of calls from people wanting to help and that’s why it has set up the account.